On Monday, February 17, the United Nations released a scathing report on the Democratic People’s Republic of Korea (DPRK, commonly referred to as North Korea). The 374-page report was constructed from interviews with experts as well as former political prisoners of the DPRK and details crimes against humanity of an “unimaginable scale” – drawing comparison to Hitler’s violations. The report goes on to call out China by name, criticizing its practice of sending refugees back to the DPRK, in violation of the international law of non-refoulement. In addition to the report, the commission sent a letter to Kim Jong-un stating that the panel would recommend referral to the International Criminal Court (ICC), where the Supreme Leader himself may be implicated. The report was meant to be a wake-up call to the world and is undoubtedly a huge step forward, bringing awareness to horrific human rights violations, but some worry that the panel’s recommendation to the ICC is insufficient. The ICC lacks universal jurisdiction and the issue is unlikely to be referred by the Security Council due to China’s veto. Some contend an ICC remedy would be insufficient and that total regime change is the only realistic solution. 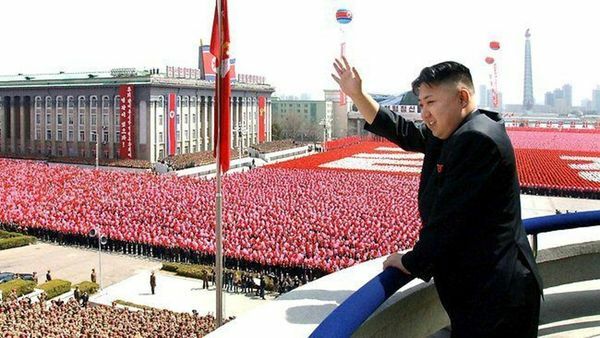 Do you think North Korea will ever stand trial at the ICC? Is referral to the ICC sufficient or is regime change the only way to realistically bring the DPRK into conformity with international norms? Will international pressure force China to change its policy toward North Korea? Next Public Bound Edition Preview: Unmanned Aerial Vehicles: Legitimate Weapon Systems or Unlawful Angels of Death?